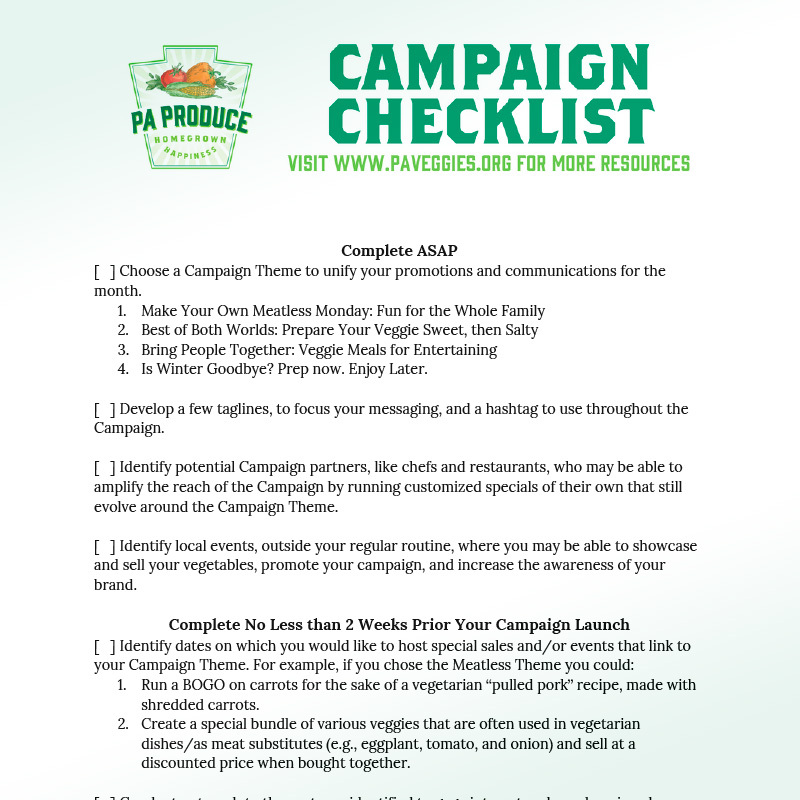 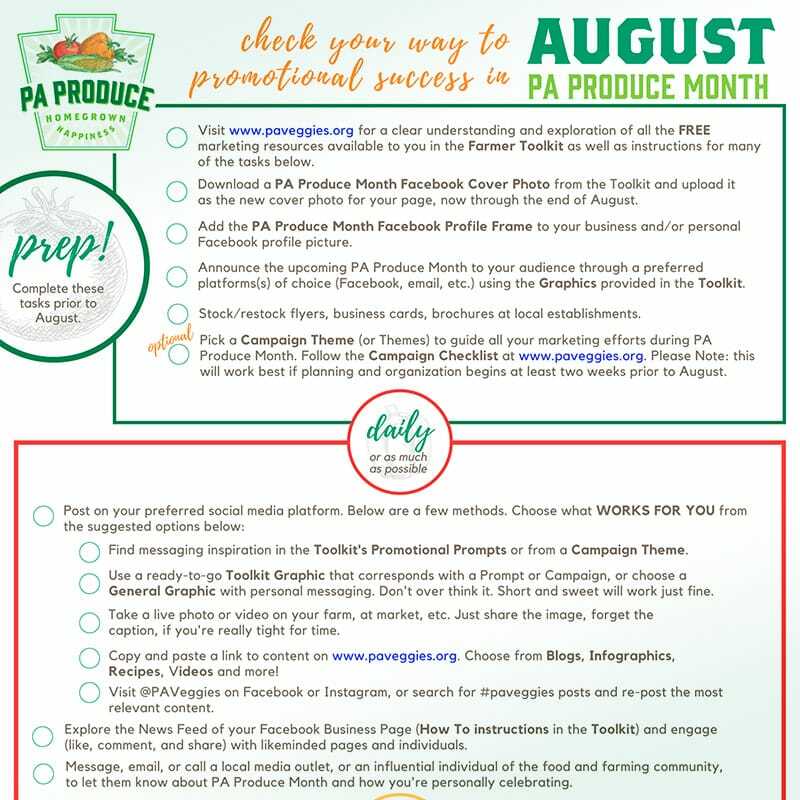 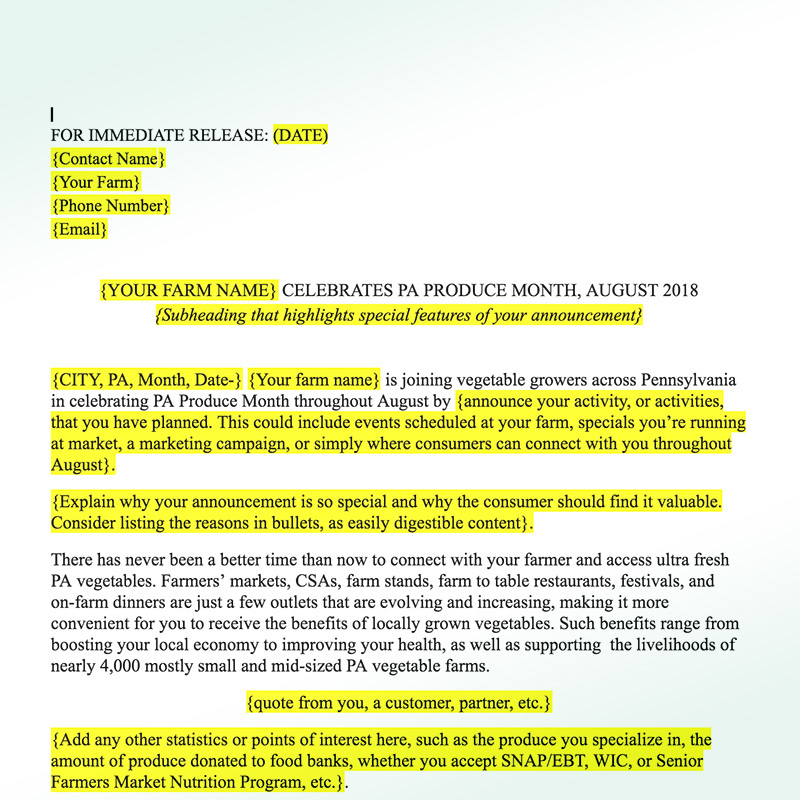 Here you can access a variety of tools and resources to assist with your marketing efforts during PA Produce Month (August) and all year long. 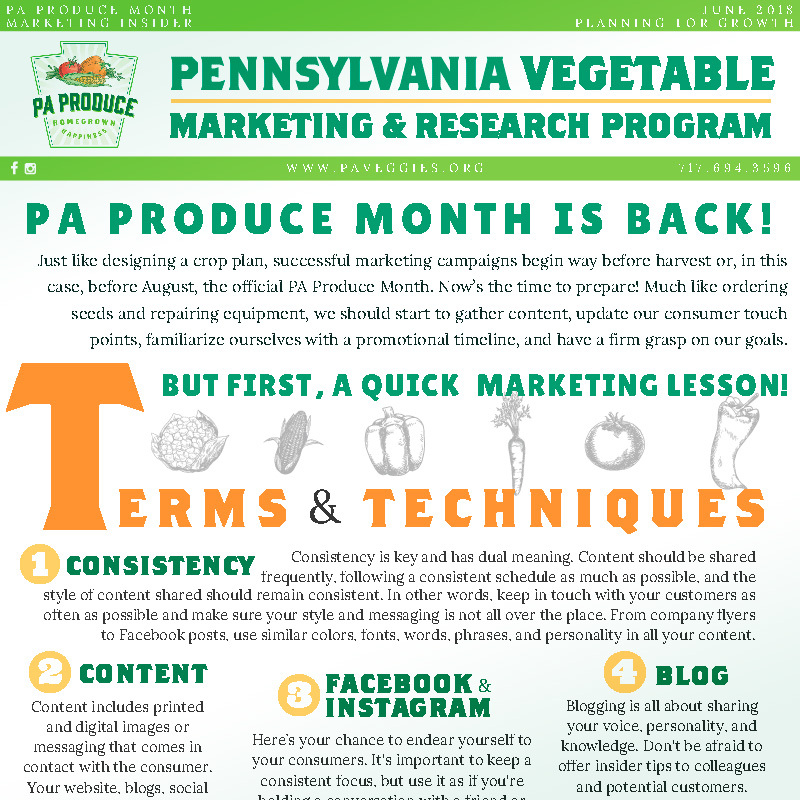 Whether your social media images need a fresh new look or you're in search of a Press Release template, this is the place to be. 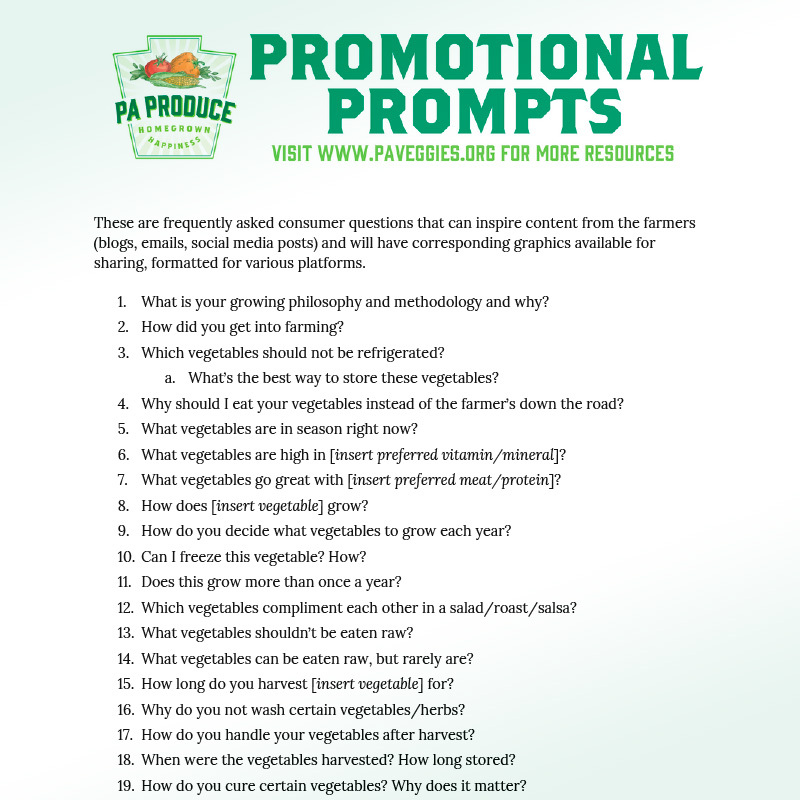 You'll find written instructions, videos, and tangible tools to download and use for promoting your PA Veggies in your own way. 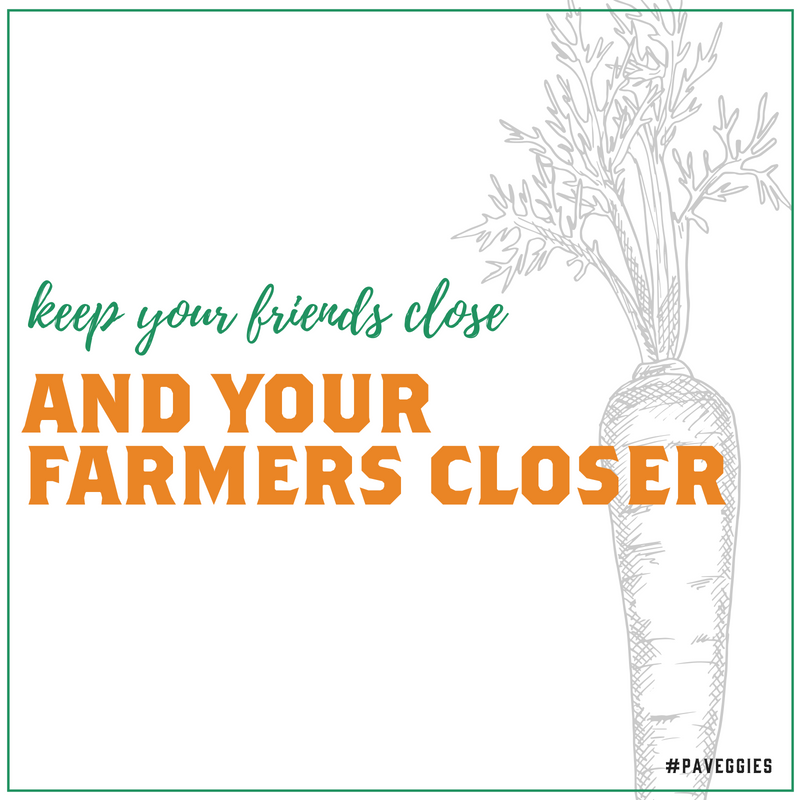 If it's your first time visiting, get a quick lay of the land by watching the latest Instructional Video. 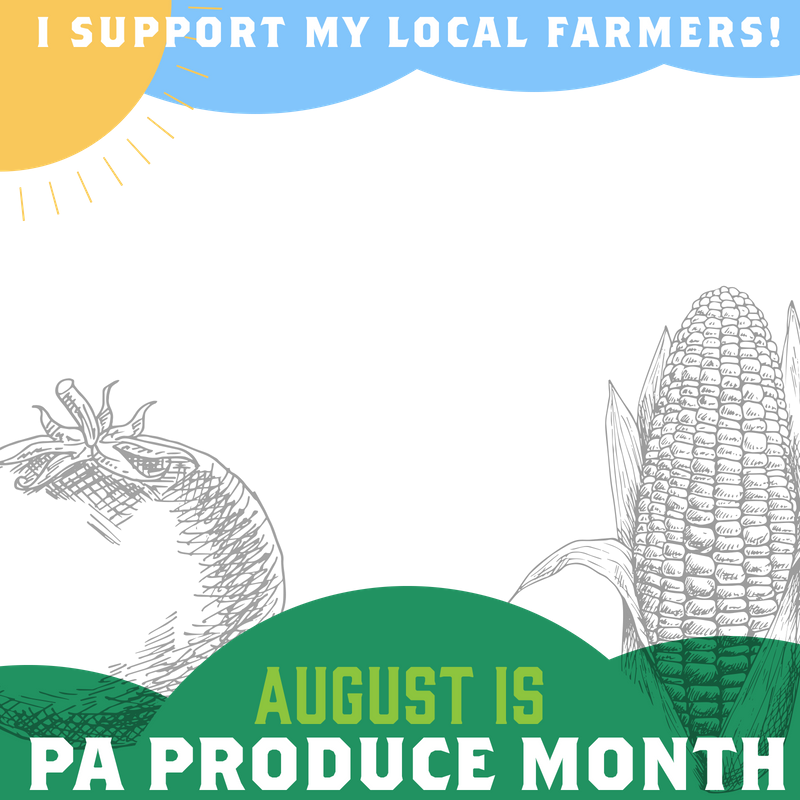 As always, if you can't find what you're looking for, or have a question about anything within the Toolkit, don't hesitate to contact us.